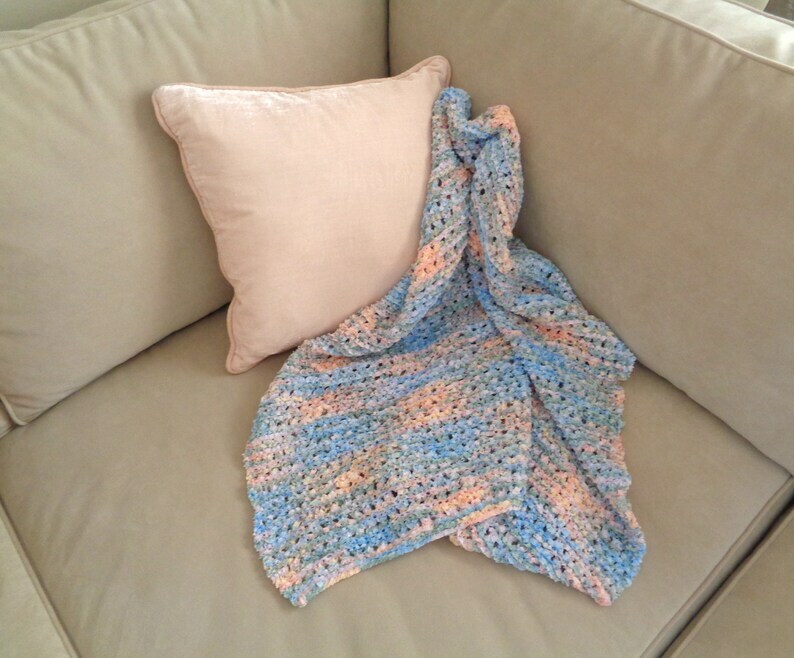 Baby girl blanket in pastel shades of pink, blue, yellow and green, like a Monet painting - start art appreciation early! This blanket would be a sweet photo prop, new baby or baby shower gift. A nice medium-large size that can work as a crib blanket, lap blanket, carseat cover, or small floor mat. Hand knit with an eyelet stitch pattern in a soft and squishy chenille yarn. Thank you for shopping with and supporting Girlpower Knits, enjoy your wee one and this blanket! size: about 36 x 30"